An aerial shot of Cuming Street circa 1955. 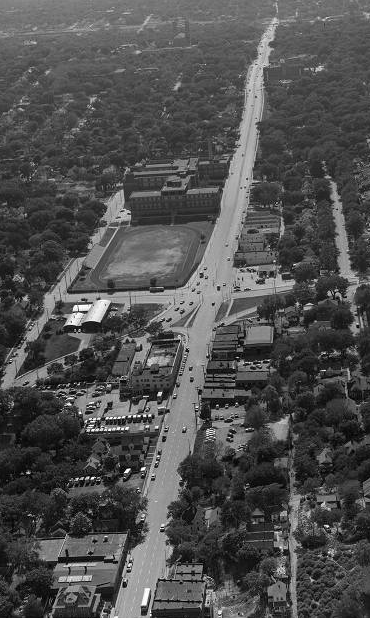 With North 27th at the bottom side and North 40th at the top, this shows houses east of North 30th, the 1950s-era Conoco station at North 30th and Cuming, and Tech High’s football field, among many other demolished features. Standing at North 18th and Cuming Street in 1968 and looking east toward the river, the last vestiges of busy-ness and importance were beginning to fall away. Street traffic is empty, and the area doesn’t look vibrant by today’s standards. Thomas B. Cuming happened to be the right guy in the right place at the right time. Twice.The first time, Cuming became the acting governor of the Nebraska Territory after Francis Burt died after just two days in office. Cuming was just 25 years old and was originally assigned Secretary of the Territory by President Franklin Pierce. During his four months in office during this term, Cuming essentially started the north-south battle in Nebraska by awarding Omaha the capitol and giving the counties north of the Platte River the majority representation in the Territorial Legislature, despite having merely 1/3 of the territory’s population. The second time he was acting governor of the territory was after Mark Izard resigned suddenly after serving just two of his four-year term in office. Just before this, the southern Nebraska counties almost broke off from the territory to join Kansas; Cuming did nothing to stop this. The second time he served just 2 1/2 months in office. This 1866 map cutaway clearly shows Cuming Street becoming Military Road. The western city boundary at this point was present-day North 30th Street. Cuming died suddenly in 1858 at the age of 30. His untimely demise was met with praise for his dedication and perseverance in the upstart territory, and in addition to the county that was named for him, Omaha’s city leaders dedicated a great street in his name. 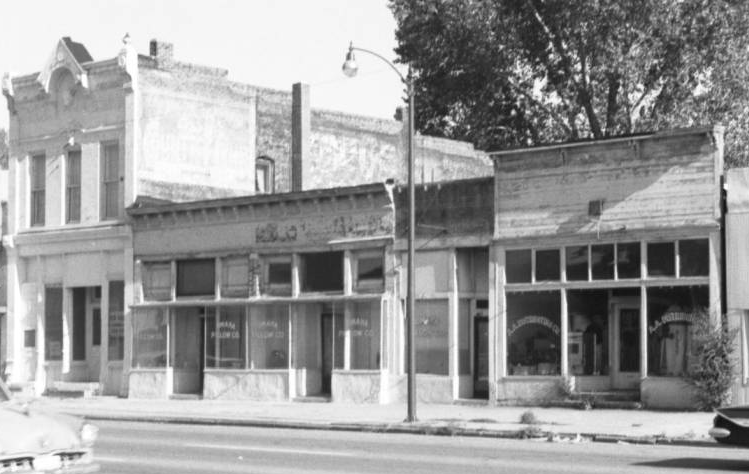 This 1954 pic features three storefronts from 2211-2217 Cuming Street, all built in 1880. 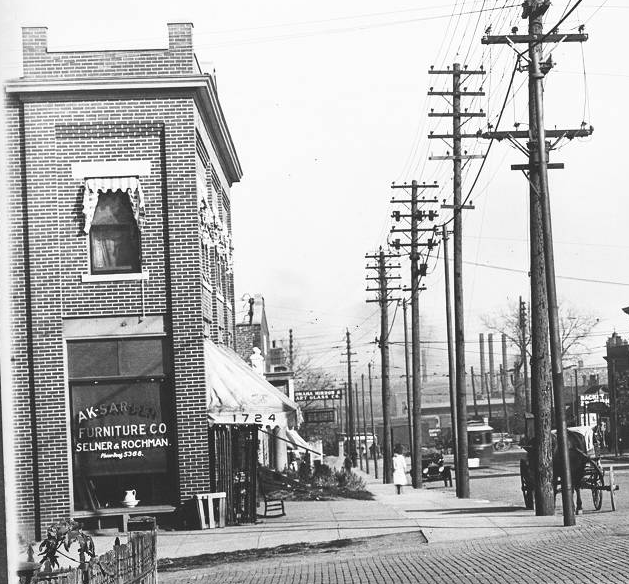 Standing at the intersection of 18th and Cuming in the early 1910s and looking south and east, you can clearly see the stacks at the Union Pacific shops and beyond. Notice the cobblestone streets, the horse-drawn wagon on the left, and the Wrigley’s gum advertisement on the side of the building. Military Road was originally laid out in 1857 by Captain Edward Beckwith for the U.S. Army. When Omaha’s city planners began their pursuit of growth, they simply laid out their streets to align the roadway. When Badger Street got all the way west to 24th, then called Saunders Street, they simply connected it to the Military Road leading west and northwest out of town. In this 1956 pic, the building at 2114 Cuming Street is the star. It was built in 1885 between two other buildings. After Cuming died early, city leaders decided to rename this roadway in honor of their lively young leader. Cuming Street was named for him by 1866. 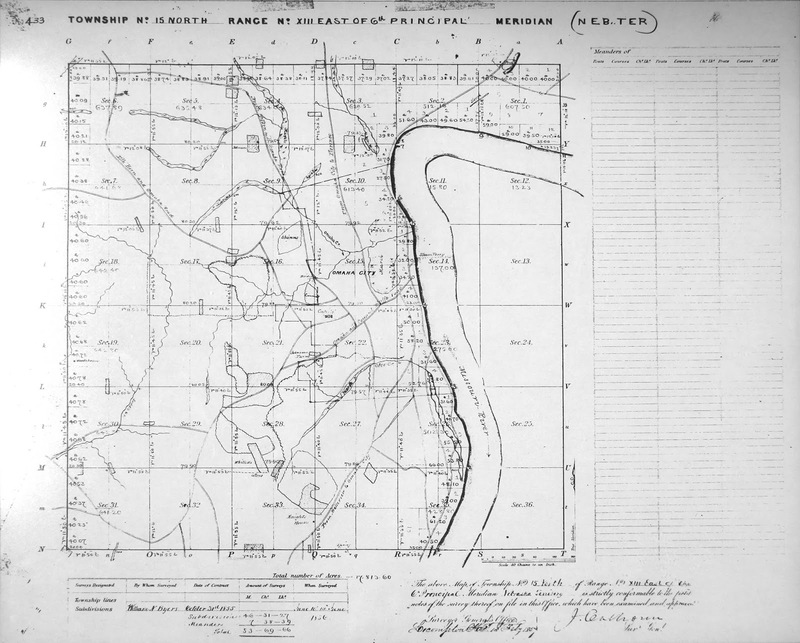 The first map ever laid out showing Omaha City. The creek on the northern side was called North Omaha Creek, and some portion of it flowed under what eventually became Cuming Street. When they came through the area in 1804, Lewis and Clark found a large village of earthen lodges covering the plateau between North 16th and North 30th from approximately Cuming north to Hamilton Streets.Originally, Badger Street was at the very northern edge of the map of Omaha City. The North Omaha Creek, surveyed as the northern boundary of Omaha in the city’s first map, flowed where the present-day intersection of North 24th and Cuming Streets is located. Only strangers and old cowpokes lived up there, and few people went that way, and it was almost that way for a decade. The North Omaha School at 19th and Izard in 1874 served the early eastern neighborhoods along Cuming Street. When Cuming Street started growing, it was a mix of business and houses. The neighborhood between North 17th and 20th, from Cuming south to Cass was founded as an Italian neighborhood in the 1870s, with the Holy Family Catholic Church built as an Italian parish. 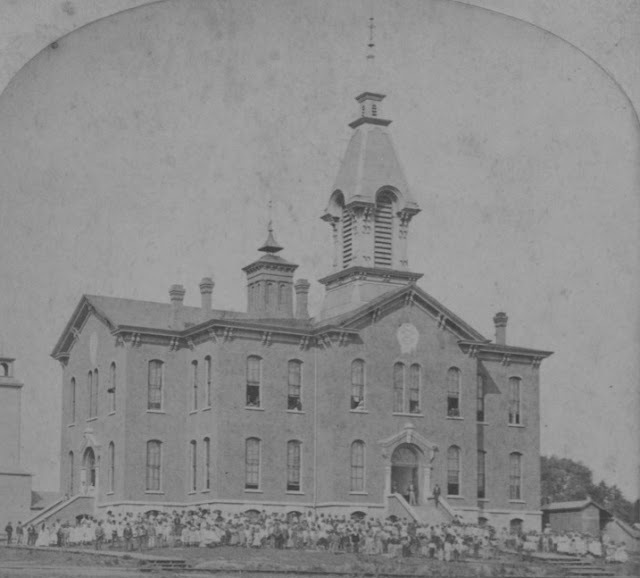 North 19th and Izard was the location of the North Omaha School, which was open in 1874. However, it wasn’t known as a great place to live. Instead, as an 1898 city history exclaimed, “it is fitting that Cuming Street should have become a lively business thoroughfare, thus truly typifying the young governor.” Lively it was! 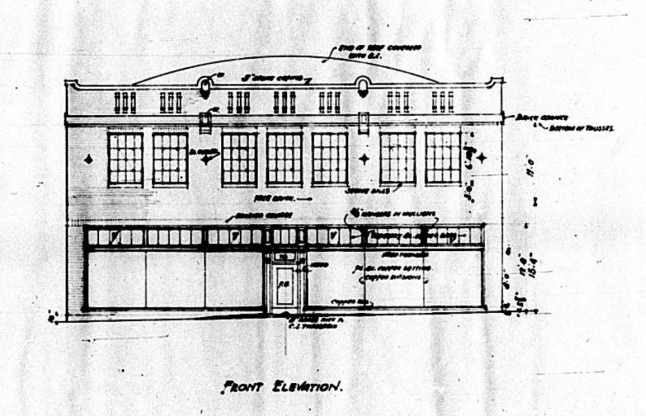 An architectural rendering of the Collins Garage, once located at North 20th and Cuming Streets. Starting at North 8th Avenue, Badger Street shot west to North 16th Street from the inception of the city. 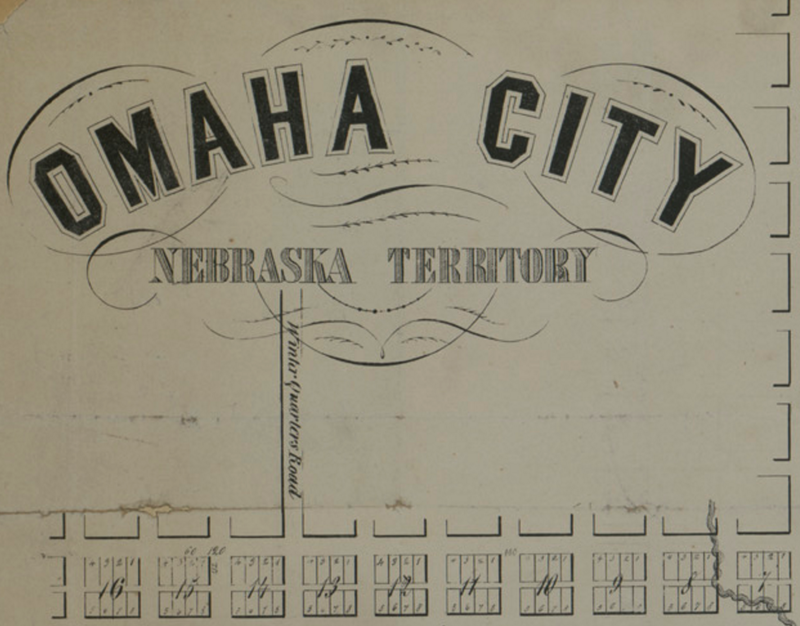 In 1860, the City of Omaha handed out lots to Nebraska Territorial legislators to keep the capitol in Omaha. The area they drew from ran from the Missouri River to N. 30th Street, Cuming to Lake St., and was called Scriptown. However, despite being popular and almost all legislators taking some, most of these lots were never developed.When Tom Cuming died in 1868, Badger Street was renamed for him. 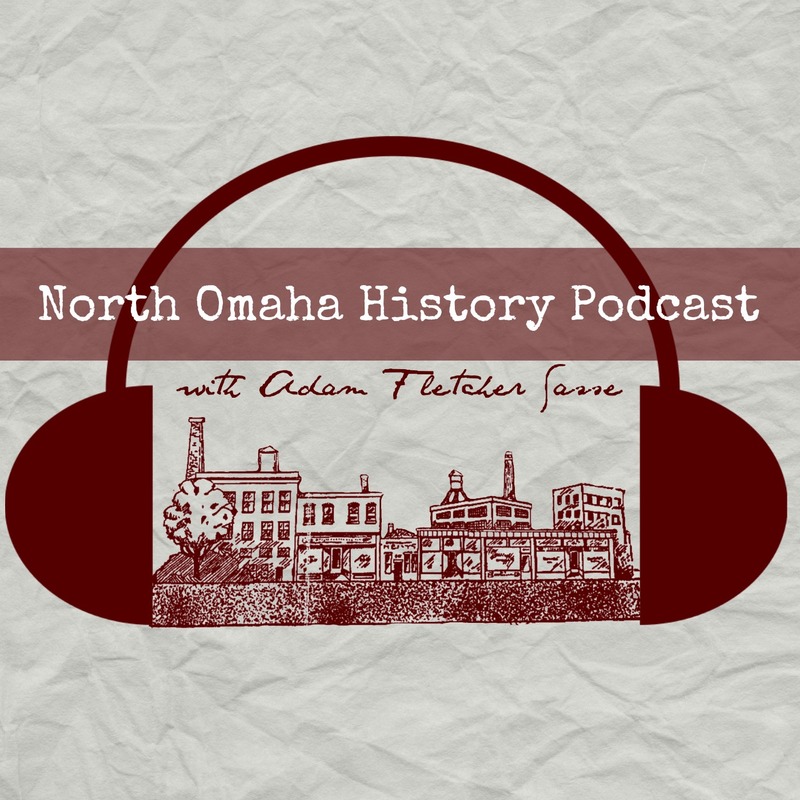 Proving its importance, the first line of the Omaha Horse Railway was built in 1868 from 9th and Farnam Streets to 20th and Cuming Streets. 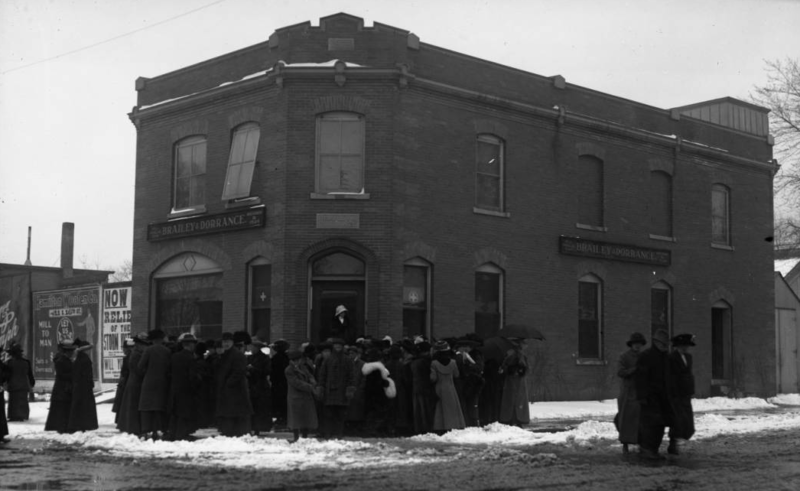 The Brailey & Dorrance Funeral Home at 1823 Cuming Street in 1913, reportedly for a service held because of the Easter Day tornado that year. In addition to the city’s first horse-drawn streetcars, Cuming was also home to the city’s first electric streetcars, too. Before 1905, Cuming Street heading west from North 30th was called Mercer Street. That year, recognizing the importance of common naming and of Cuming, the entire street was renamed. Dr. Samuel Mercer began running streetcars up his self-named street in the 1880s to attract people to the beautiful housing addition he was building at the top of Cuming at North 40th Street. This is a picture of a dump that was at North 30th and Cuming Streets in 1915. Thanks to Ryan Roenfeld for locating this pic. Cuming Street continued to grow in importance. Establishing itself as a major east-west road, Cuming became more and more busy. 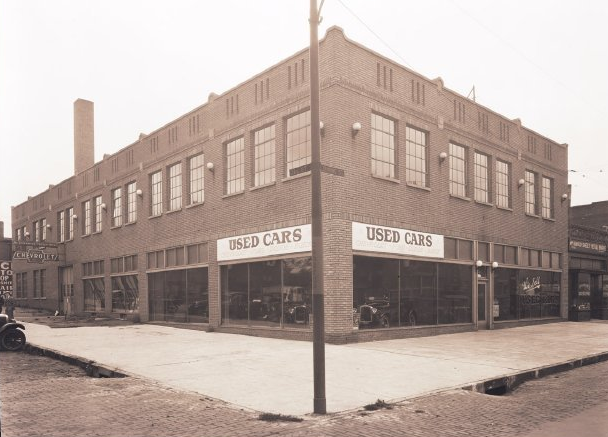 Julien Chevrolet was located in this building designed by Leo Daly at North 21st and Cuming in 1926. In those early years, there were a lot of different kinds of businesses all along Cuming, from North 10th all the way up the hill towards Mercer’s Mansion. Large commercial bakeries and car garages, along clothing and bedding manufacturers were up the street from the Ford Plant, while professional offices and apartment buildings crowded corners with taverns, restaurants and more. This is 1623 Cuming Street in the 1920s. Started in the 1880s as Swanson and Valien, Morticians, it became the longtime Jewish mortuary in Omaha. The first uniform grade for Cuming Street was established in 1881, when James Boyd was mayor of Omaha. Recognizing the elevation of the street was difficult for its purposes, the City of Omaha established a routine grade leading to North 23rd Street and beyond.Social halls on Cuming in those early decades included the Marathan Hall at North 25th and Cuming, and Sander’s Hall at North 24th and Cuming. 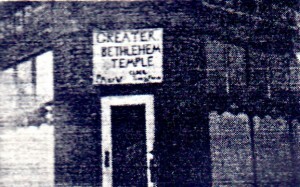 The Greater Beth-El Temple was established in as a storefront church at North 24th and Cuming Streets in 1952. Historically, there were several faith communities located along Cuming. These communities lent themselves to ethnic groups, too. For instance, they included two German-speaking churches: First German Presbyterian Church at North 18th and Cuming Streets, which opened in 1882; and Salem Church at North 18th and Cuming Streets, which opened katty corner in 1904. The Greater Beth-El Temple was established at North 24th and Cuming in 1952. B’nai Jacob – Adas Yeshuron, also called “The Kapulier Shul”, was incorporated on North 19th Street in 1909, and had a location at 3028 Cuming Street for a number of years. This building was on the southwest corner of N. 33rd and Cuming in 1923. From the 1870s to the 1920s, the second largest ethnic group in Omaha were the Irish. They settled in all parts of Omaha, but were found most commonly in an area along the western edge of the Union Pacific Shops at Cuming Street and extending north along 16th Street. 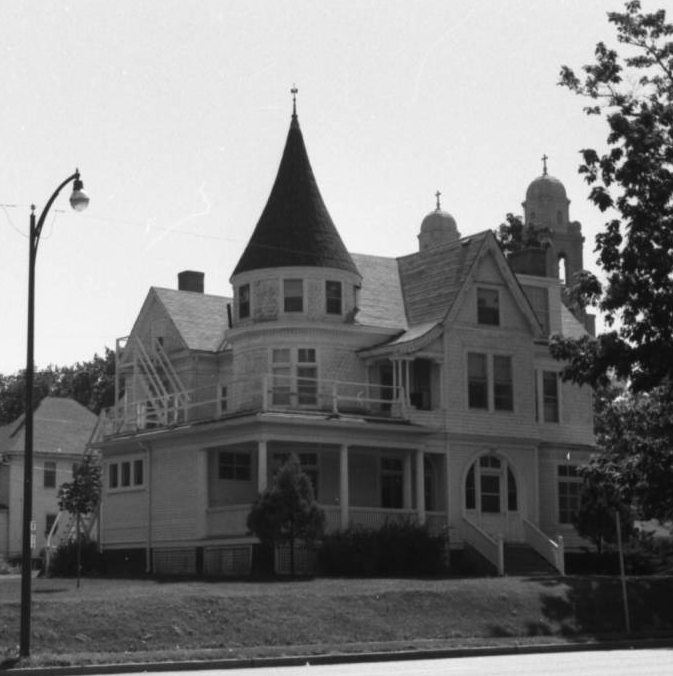 They attended the Holy Family Catholic Church, which was designated as Omaha’s Irish parish during this era. The Jay Burns Baking Company built the building in 1906. The Continental Baking Company acquired Burns’ company in the 1930s, and started manufacturing Wonder Bread and eventually Hostess Products there. They moved in the 1980s (or so), and the building has been used as storage since. Cuming Street was the historical southern boundary of Omaha’s segregated Black neighborhood. Concentrated between Cuming and Lothrop, 16th and 30th from 1919 through the 1960s, African Americans were prohibited by redlining from moving outside that district. Between federal and state laws; bank lending procedures; real estate practices and insurance company policies, African Americans weren’t allowed to move beyond these boundaries until the 1960s. There are a lot of landmarks along Cuming Street, beginning with its starting point at North 10th Street and Abbott Drive and flowing until its first major ending at North 52nd Street. The location of the UPRR Shops in relationship to Cuming Street is shown on this cutaway from a 1923 map. The Union Pacific Railroad Shops at North 10th and Cuming grew from necessity. As the genesis for Cuming Street for more than a half-century, the UPRR Shops made everything from the bolts to the boxcars that made the Union Pacific great. In the 1950s the site was formally expanded to cover 100 acres of property. The shops’ importance in the company lasted until 1988, when the UP moved most of their maintenance operations out-of-state. In 2000, the Union Pacific voluntarily closed down the site forever. Today, standing about 50 yards south of Cuming on North 10th Street allows people to stand at the site of one of Omaha’s greatest industrial operations and contributions to the national economy. This is a view along Cuming Street. That’s the Robert’s Dairy smokestack in the distance, and this was probably from the intersection of North 27th and Cuming in the 1930s. The Omaha Ford Motor Company Assembly Plant at 1514-24 Cuming Street was built in 1916 in what was then a mixed industrial and residential area. The plant had a bottom-to-top assembly process, with finished cars placed on the roof for storage before being sold. It was a Ford plant until the 1930s, then it was used as a Western Electric Company warehouse from 1956 to 1959. In 1963, Tip Top Products took over, making liquid solder, hair accessories, and other plastic goods there until 1986. After a brief stint as a tire warehouse and store, in 2005, it was renamed in honor of Tip Top, and renovated into apartments and office space. Today, the Omaha Ford Motor Company Assembly Plant is listed on the National Register of Historic Places. Here’s Badger Body, located at N. 16th and Cuming Streets. 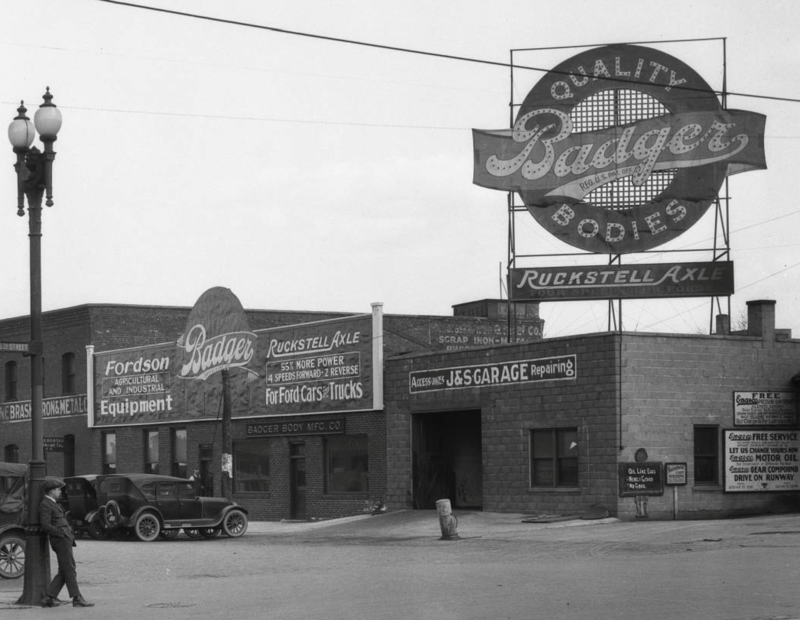 One of the businesses that made North Omaha a great place to live was Badger Body and Truck Equipment, Inc., a company that modified Ford trucks from across the street on the southeast corner of North 16th and Cuming Streets. They also manufactured farming and construction equipment. The company moved from the intersection at some point, and today is located elsewhere in Omaha. The Near North Side neighborhood runs from Cuming on the south to Locust Street on the north, and from North 14th on the east to 30th Street on the west. It is where a lot of Omaha grew up, including working class European immigrants, Omaha’s Jewish community, and for the last 80 years its served as the core of Omaha’s African American community. The historical home of the Logan Fontenelle Public Housing Projects, the area was the target of federal “slum clearance” programs in the 1930s before they were built. Demolished in the 1990s, today this area is being rehabilitated. Located at North 17th and Cuming, the Fitzgerald Hotel was originally built in the early 20th century. After closing in 2006, it sat empty for a half-decade. However, soon a dozen high-end apartments will open there. The wide sidewalk are being made into an outdoor courtyard with brick columns and a wrought-iron gate, and a second courtyard for renters will be behind the building. The exterior of the building is being finished with metal, glass and brick, and the interior of the apartments will be beautiful. 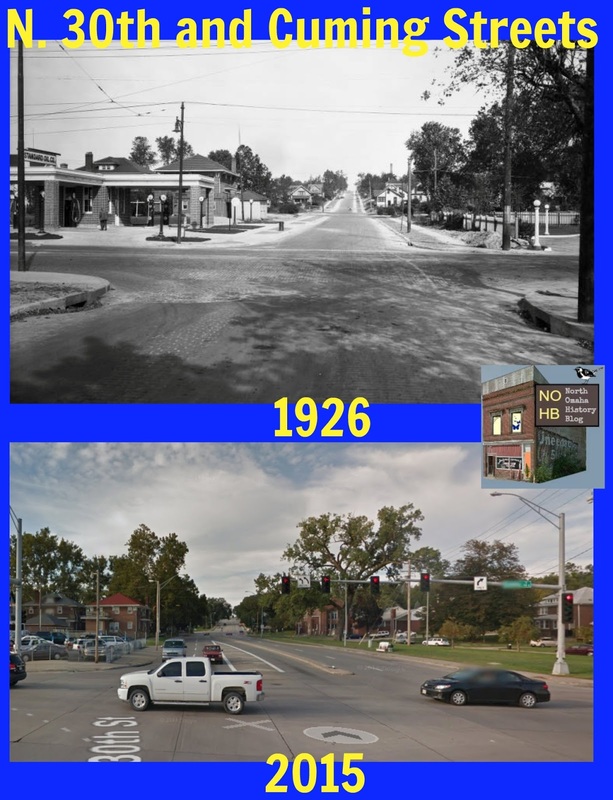 Sometime around 1935, Louis Bostwick looked west from N. 17th and Cuming Streets and took the top pic; in 2015, the Google car came through and made this image. The intersection of North 17th and Cuming had a lot going on. The Booker T. Washington Hotel, one of Omaha’s several segregated Black-only hotels, was at 1719 Cuming. The Bloom Monument Building is a fine display and design building built at the intersection in 1906, and today it is a restaurant. Across the street is Grace Tabernacle Church of God in Christ at 1801 Cuming. Built in 1910, this building is surrounded by properties owned by Creighton University. The Omaha Pillow Company was located at 1807 Cuming in 1899. They “renovated feather pillows and made mattresses of all kinds”, and sold mattresses and down covers. 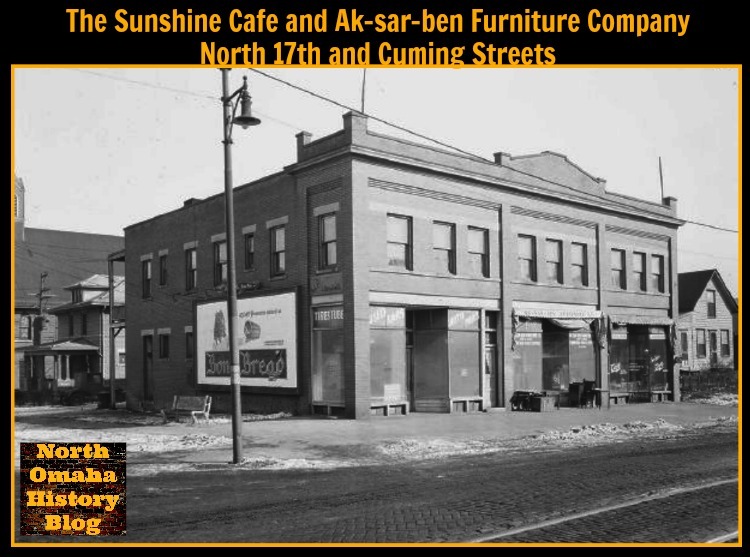 The building at 1720-22 Cuming Street was home to the Sunshine Cafe and the Ak-Sar-Ben Furniture Company when this picture was taken in the 1940s. Built in 1883, the historic Holy Family Catholic Church is located on 18th and Izard Streets, a half block north of Cuming. Founded to serve the surrounding Irish neighborhood in 1883, Holy Family is the oldest existing Catholic church building in Omaha. Becoming an Italian congregation after that, and then serving the entire community for the last 75 years. Current plans by the City of Omaha will remove all of the other buildings on the block to create a traditional church square. The Holy Family Church Square will function as a public park and as a town green around while still allowing Holy Family to continue operating as a church. The church is listed on the National Register of Historic Places. Notice “Winter Quarters Road” clearly marked? Its on the site of present-day Florence Boulevard on this 1856 map of Omaha City, and started on Badger Street, aka Cuming Street. The Florence Boulevard was originally called Winter Quarters Road when it launched five miles northward from Badger Street in the 1860s. In history, a section was also known as the Prettiest Mile in Omaha Boulevard. It saw the emergence of the North Omaha community, running through the old town of Saratoga to Miller Park and beyond. In 1898, many Omahans traveled it to get to the Trans-Mississippi and International Exposition. Today, its a pathway to some of the finest historical sites and buildings in the city. This advertisement for the Omaha Folding Machine Company was uncovered among the buildings demolished at 20th and Cuming Streets. It was soon demolished, too. 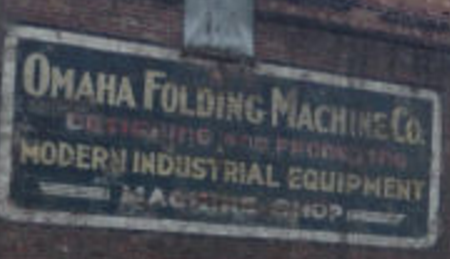 Omaha Folding Machine Co. became the Modern Equipment Company. In 1880, the City of Omaha set aside the block on 21st Street between Cuming and Burt Streets as a grain, hay and produce market they called the Cuming Street Market. It was still in effect in 1905, but I can’t locate any photos. Eventually, that market was closed and the block filled in. In 2015, as many of their neighbors experienced, the five buildings along Cuming Street between Florence Boulevard and 21st Streets were demolished by Creighton University. Mostly housing industrial businesses in recent times, the buildings once had a variety of used, including boutique stores and more. Modern Equipment Company once owned several of the buildings, and once owned many buildings and parcels of land along Cuming Street. In the past decade, Creighton University has mercilessly cut down dozens of historic properties in their quest to rebuild the Near North Side in their vision, devoid of any respect for the historic cultural heritage of the area. This destruction shows they’re still at it. This is the block that was demolished in 2015 along Cuming by Creighton. Founded in 1900, the Sam Riekes Equipment business moved to 2910 Cuming Street in 1959. By combining five separate storefronts and an adjacent warehouse at the corner, enough space was created for all the divisions. The business continues today, although at a different location. 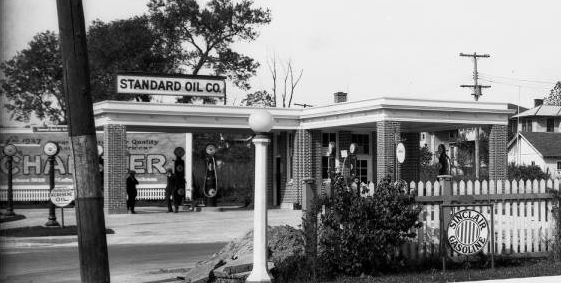 There’s been a gas station on the northwest corner of North 30th and Cuming since at least 1926 when this photo was taken. The intersection of North 30th and Cuming Streets has been home to a dairy since 1869. That year, Martin Tibke started a dairy there with nine milk cows. In 1882, he had “forty-two head, and employs two men, three horses and one delivery wagon. He sells seventy gallons of milk per day and has 150 customers, he has, in addition to this dairy, a farm of 200 acres, near the barracks.” The barracks were at present-day Fort Omaha at this point, so the farm was near North 30th and Fort Streets. 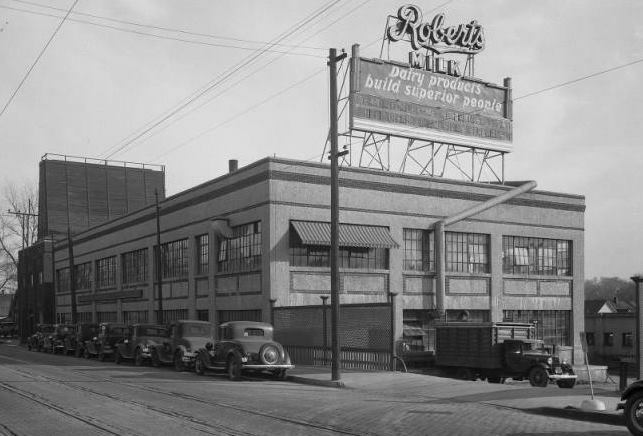 The Roberts Dairy at North 29th and Cuming in the 1930s. J. R. Roberts began Roberts Dairy in 1906 on a farm near Lincoln. The company opened its Omaha branch in 1929, and in 1981, Roberts Dairy became a division of Prairie Farms–Hiland Dairy. Today, it owns all of the buildings along Cuming between North 30th and the North Freeway. This is Tech High School looking west from North 30th and Cuming. The bleachers to the left (south) were for the football field. The Gifford Park neighborhood is bounded by North 30th Street on the east, to North 38th Street on the west, with Dodge on the south and Cuming Street on the north. Jesse Lowe, the first mayor of Omaha City, was the original landowner of this area. Dr. Harold Gifford, Sr. acquired it in the 1880s, and opened it for development in the 1910s. The area of 33rd and California became a busy commercial district in the 1920s and 30s, with grocery stores, an upholstery shop, dentist, a delicatessen, tavern, bakery, theatre, barber shop, and a variety store. There was also a filling station, ice house, a beauty school, garage, butcher shop and drug store. Schools in the area included Yates Elementary School, Tech High School, and the Duchesne Academy. When Omaha Technical High School opened in 1923, it was the largest school west of Chicago and with state-of-the-art supplies, it was said to be the best equipped in the country. After graduating thousands of students over 60 years, the school was closed in 1984. It was repurposed into the district offices afterward. The original lobby features polished marble and ornate moldings; however, Omaha Public Schools converted the football field into a parking lot and moved the main entrance to the building to the east side, with a three story atrium greeting guests. Architects used the high ceilings in the two original gymnasiums to create two floors of office space, while leaving the original auditorium and other features largely intact. 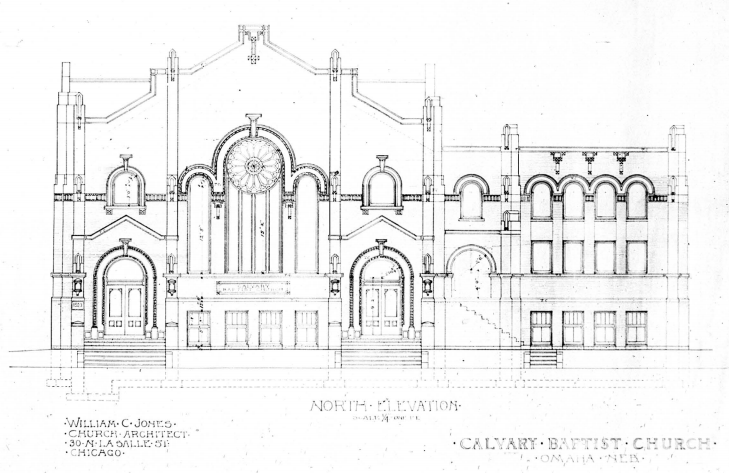 The original schematics for the Calvary Baptist Church, built in 1921. 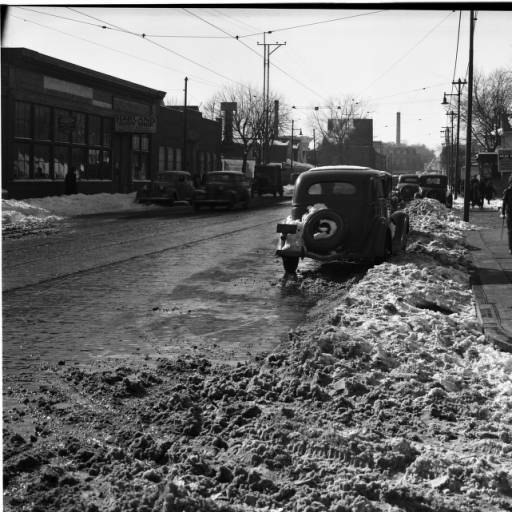 This is the northwest corner of 24th and Cuming around 1941. Originally located at North 24th and Cuming, Calvary Baptist Church opened in 1886 as a mission church. 35 years later, the church built a grand new building at North 39th and Cuming Streets. Built in a grand Gothic Today, this building is home to the Harvest Community Church. The Bemis Park neighborhood was built to be extravagant, and its holding onto that image still today. Omaha’s first mayor, Jesse Lowe, originally owned the land. Today, its boundaries are Cuming Street to Hawthorne Avenue, Glenwood Avenue to North 33rd Street. In the 1870s, Omaha real estate mogul George Bemis built the neighborhood for business leaders, lawyers and doctors. Through the 1920s, find homes were built and maintained, even after the horror of the Easter 1913 tornado. However, by the 1940s the neighborhood was being divested in because of its proximity to Omaha’s African American community. Split into apartments and owned by slumlords, the neighborhood fell to its knees by the 1960s. However, vigorous preservation advocates focused on saving the fine Victorian-era homes pushed for new city zoning to encourage rehabilitation, and it worked. Today, the neighborhood retains its historic relevance and awesomeness, and is a role model for many Omaha neighborhoods. The neighborhood includes a beautiful park, once home to a lagoon and now to tennis courts and a slow walkway. The Bemis Park Landmark Heritage District has been recognized as an official Omaha Landmark. Methodist Hospital in the 1920s. Built in 1908, the Methodist Hospital was located at 3612 Cuming Street for more than 50 years. With 128 beds initially, the building grew and grew, with the main hospital remaining there until 1968. It operated as the Midtown Methodist Hospital until 1985, when it was sold to the Salvation Army. They housed a regional headquarters and emergency facility there until 2016, when they’ve began demolition on the entire building to erect an entirely new building and eliminate any sign of its historical vibrance and significance to the city’s history. The Mercer Mansion in 1908. After spending a career as a surgeon, Dr. Samuel D. Mercer decided to retire from medicine and focused on his building his real estate dynasty. 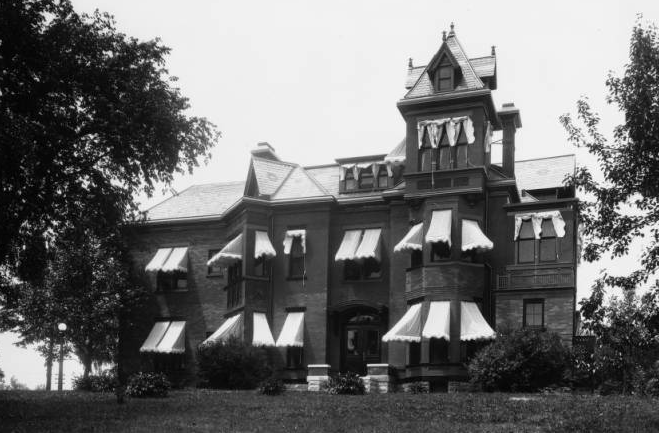 In 1885, he built the Mercer Mansion, one of the finest homes in Omaha, at 3920 Cuming Street. To support the development of his real estate and make more money, Mercer financed the construction of cable streetcars in Omaha. His 23-room mansion is a great example of the Queen Anne style, with cherry, mahogany, oak, and black walnut woodwork throughout the inside of the house, and a large square tower that is four stories tall on the outside. In the late 1920s, the mansion was converted to apartments, and today it still stands guard over the neighborhood. There was also a single-story Mercer Building built at North 40th and Cuming in 1920. It does not stand anymore. Today, the Dr. Samuel D. Mercer House is listed on the National Register of Historic Places. 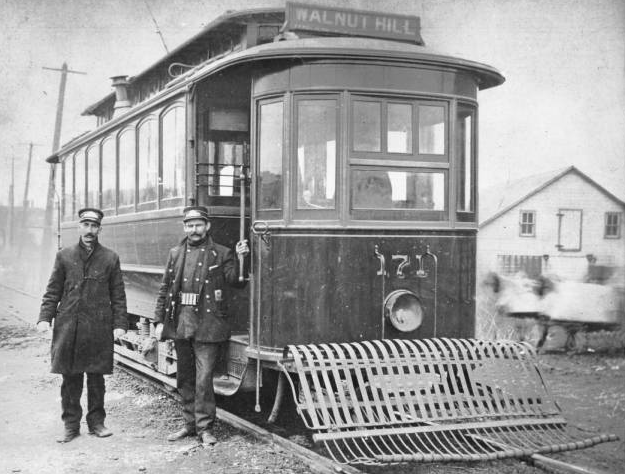 An electric streetcar going up Cuming Street to Walnut Hill in the 1890s. Between 1889 and 1949 the Gold Coast Historic District grew quickly and big from roughly 36th to 40th Streets, Jones to Cuming Streets. As Omaha’s second Gold Coast, it was home to its Gilded Age warriors of business and industry. There are 30 blocks in the district, with large mansions, commercial buildings, multi-family dwellings, hotels, schools, and religious facilities. The middle class filled it in with smaller homes and multi-family units. Its architectural styles are amazing, and there are a lot of beautiful places there. The neighborhood is home to the amazingly beautiful St. Cecilia Cathedral, which is a block south of Cuming and is listed on the National Register of Historic Places. The West Central-Cathedral Landmark Heritage District is recognized by the City of Omaha as an official Omaha Landmark and is listed on the National Register of Historic Places.HISTORICAL SITE 19: In 1905, a housing boom in the village of Dundee between 47th Avenue and Happy Hollow Boulevard led the neighborhood north along Cuming Street to being annexed by the village. In 1915, the entire town was annexed by the City of Omaha. 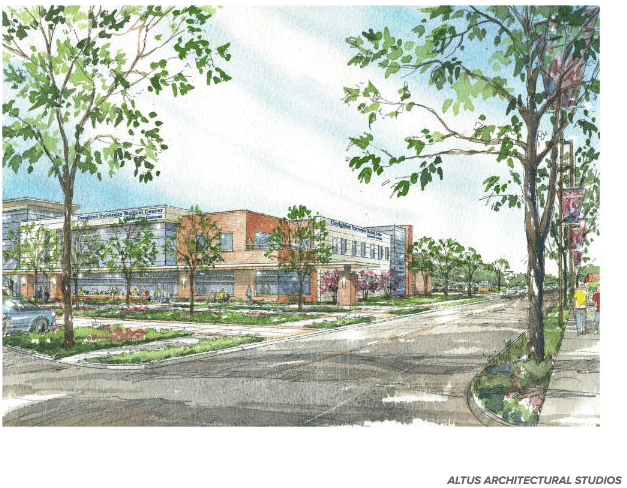 The forthcoming new Creighton University Medical Center’s University Campus on Cuming Street, opening in 2017. There are other notable places along Cuming Street, including the the Siena/Francis House emergency overnight shelter for men at 19th and Cuming Street, as well as the offices of Metro – the Transit Authority of the City of Omaha at 22nd and Cuming. The Bob Kerrey Pedestrian Bridge is at the point where Cuming would meet the Missouri River, and the TD AmeriPark Stadium is at North 13th and Cuming, across from the successful CenturyLink Center, which itself is in front of the Gallup campus.The Creighton University campus is expanding north to Cuming Street, and they’ve completed a new stadium on the street, too. They are building this facility to continue serving the community after the old St. Joe’s is closed in 2017. Kiewit is building a $23 million training facility at North 14th and Cuming Streets soon. Facing the Slowdown facility built in the mid-2000s, it will serve as an international draw to Omaha and is seen as a boon to the area. With plans to be finished in 2017, it will have two floors and 63,000 square feet of space. A 2015 conceptual image of the 16/Cuming Sports and Entertainment District by the City of Omaha. 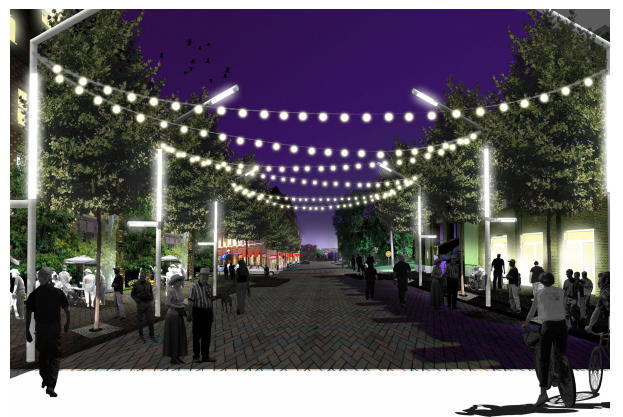 Under certain pressure from Creighton University, a decade ago the City of Omaha has set underway a plan to redevelop the entire Cuming Street corridor from its farthest eastern reaches past North 30th Street. Today, that vision is firmly implanted in the minds of city leaders, including the elected officials, government workers, financial investors and community boosters that move Omaha along. The Cuming Street Sports and Entertainment District is packed with both of those specialties, and is only welcoming more development. With the elimination of the UPRR and building of the CenturyLink Center, nobody was wholly surprised when the TD AmeriPark was built along Cuming. The City calls this development the future of North Omaha, showing their hand. This is a baldfaced effort to jumpstart the gentrification of the Near North Side neighborhood, for better or worse, with or without the active engagement of residents in the area. In the most paternalistic and historically typical way, the City knows best. This is the north side of 18th and Cuming, looking east towards the ASARCO plant in the early 1910s. Notice the cobblestone streets, the streetcar coming up the hill, and the recently installed electrical poles lining the street. This is the Omaha-Council Bluffs Street and Railway Company streetcar barn at North 25th and Cuming Streets. Here’s a 1962 ad from Canfield’s greeting their new neighbors across the street at 24th and Cuming, McDonald’s Hamburgers! 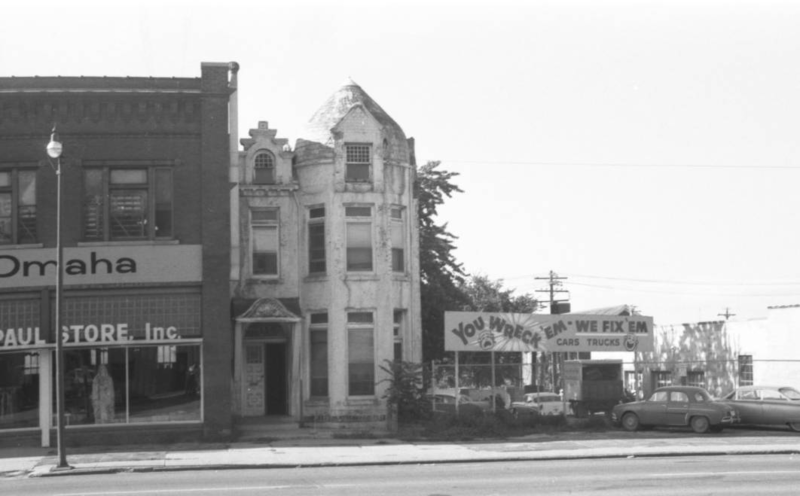 This 1974 pic shows Werner’s Paint and Wall Papering located on 2222 Cuming Street. 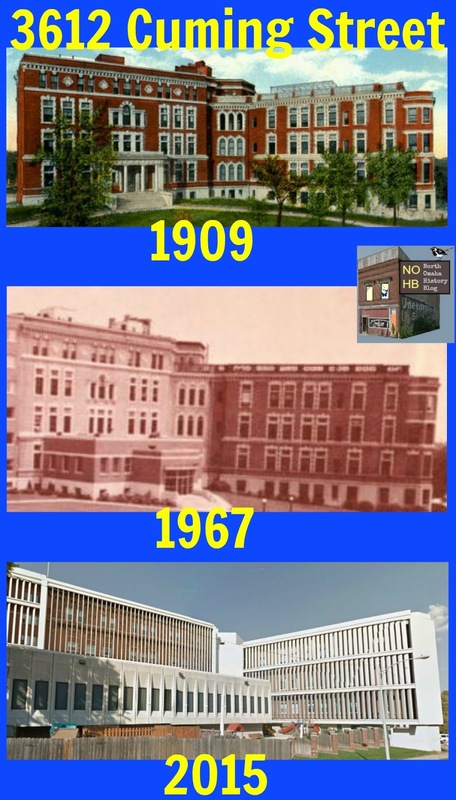 This image compares the old Methodist Hospital located on Cuming in 1909, 1967 and 2015. This circa 1970s pic shows Foreign Cars Inc. at 1906 Cuming Street. 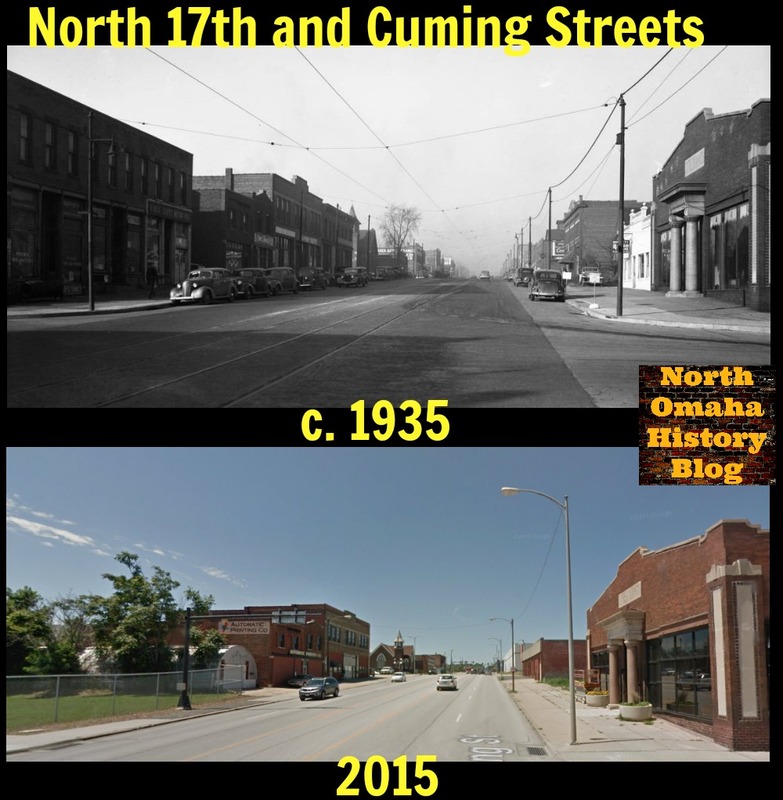 This image compares the northern view of North 30th and Cuming Street in 1926 and 2015. 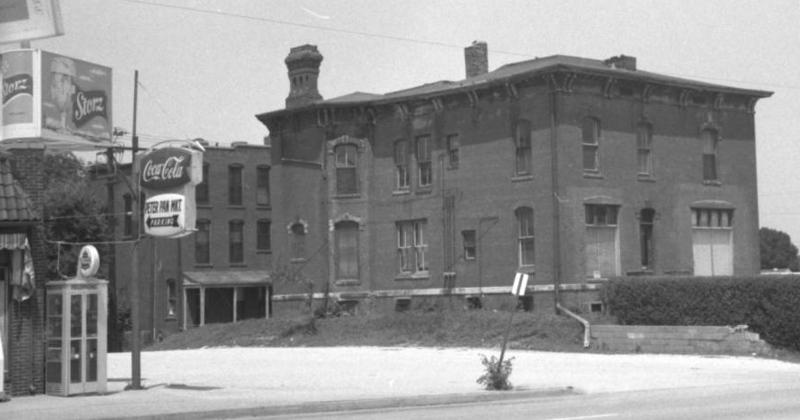 This 1955 pic shows a building at 2114 Cuming Street that was built in 1885. Its unknown when this was demolished. 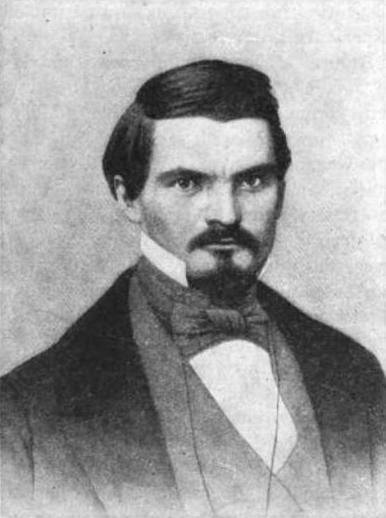 Nebraska Territory’s second and forth governor, Thomas B. Cuming (1828-1858) was the namesake of Cuming Street. This distinguished home at 3817 Cuming Street, across North 38th from Harvest Community Church and near Cathedral and Walnut Hill. According to this superb article by Micah Evans, it is being lovingly restored right now (May 2016). 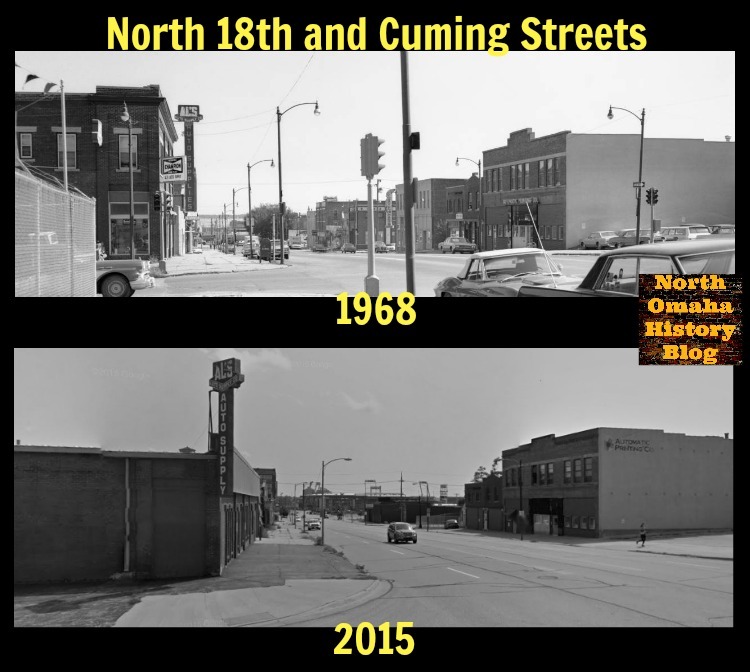 This image compares North 18th and Cuming Streets in 1968 and 2015. 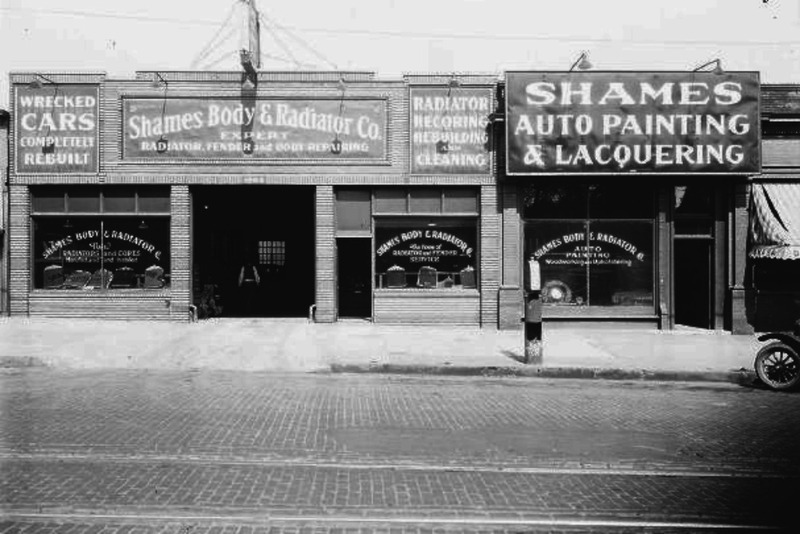 Shames Auto was at 1904-08 Cuming Street in 1929 when this pic was taken. 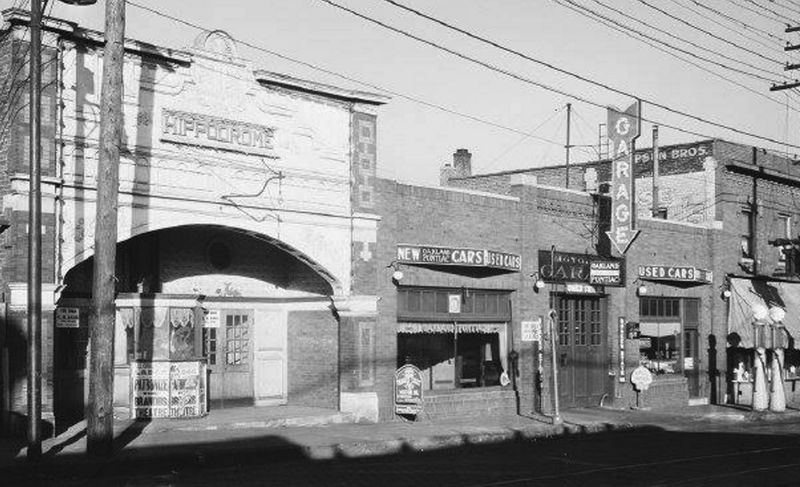 The Hippodrome was at N. 26th and Cuming in 1926 when this pic was taken. It was a fine movie theater that drew people from around North Omaha. This is the Julien Chevrolet Company building at 21st & Cuming Streets in 1926. This MAY have been the Hungarian Hall at 1623 Cuming Street. It opened in 1940 and closed by 1972. However, I do know that in 1940, the American-Hungarian Hall was definitely located at N. 17th and Cuming Streets – with the specific address being 1623 Cuming Street. It was opened in the renovated former Swanson Building at 1623 Cuming Street. The building was remodeled extensively before the opening date of January 21st to add a main floor auditorium and stage, meeting rooms, a kitchen, banquet hall and caretaker’s quarters on the second floor. “Hungarians open building today,” was take from the January 23, 1940 edition of the Omaha World-Herald. Starting 1940, this location was alternately referred to as the American-Hungarian Hall, the Hungarian Community Center and the Hungarian Home. The last mention of either name in the Omaha World-Herald was in 1972. The building became the Aero Apartment-Hotel, and was razed after 2011, when the picture above was taken. This is a Sanborn Insurance map of the intersection of North 24th and Cuming Streets in 1890. Notice the presence of the Omaha Fire Department station; Thall Drugs; and a cow barn. 2410 Cuming was the location of the Sander Hall. I really wish someone could find pictures and stories about the area os 21th. to 24th. From Cummings, Burt to Webster . I lived at 2210 Webster when JFK was assassinated & the birth of Beatle’s in America and so close to my playground of Downtown Omaha. I attended Kellom grade And then Central grade as well. I also spent a lot of time going to The Joslyn museum and Hut Sut record store and slot car track. I did my family genealogy and traced my great great grandfather to being a shoemaker and having a shoe store at 1721 Cummings Street during 1920’s. He was a colored man and I know the cummings area was segregated and that the Booker T Washington hotel was nearby considering the address. Did you happen to come across any more information in your research about the colored area of cummings street? God Bless you for all of your research that has helped my family put together missing stories and pieces. I am so impressed with this. Great work! Thanks Sarah – it’s a passion project at its highest levels!